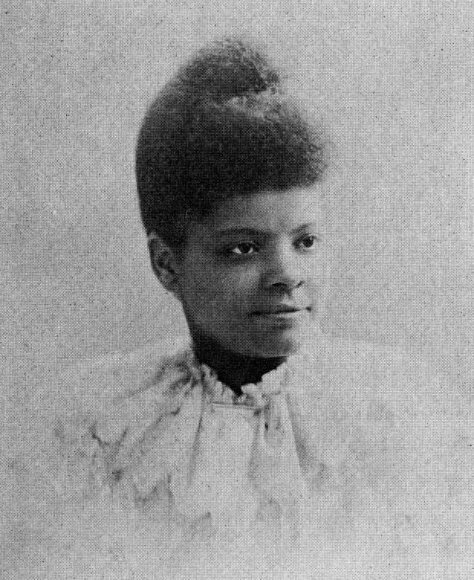 Ida B. Wells-Barnett wasn’t planning to start a revolution, but after recognizing the need for change, she pursued social justice vigorously. There is therefore only one thing left to do; save our money and leave a town which will neither protect our lives and property nor give us a fair trial in the courts, but takes us out and murders us in cold blood when accused by white persons. The relocation proposition enraged certain Memphians, who destroyed the newspaper shop in retaliation. The destruction of her way of life pushed Wells-Barnett from Memphis to Chicago, but she refused to cease her revolutionary efforts. In Illinois, Wells-Barnett expanded her activism, organizing multiple women’s suffrage clubs and local reform efforts for the African-American community. She founded her first club, the Women’s Second Ward Republican Club, in 1910 “to assist the men in getting better laws for the race and having representation in everything which tends to the uplift of the city and its government.” More than 200 women responded positively to this timely organization. Another group, The Ideal Woman’s Club, recognized Wells-Barnett as president during the short period of its existence. Despite a short life, the 11 women of the club were able to raise and donate more than $8,000 to local charities. The most notable of Well-Barnett’s women’s rights assemblies was the Alpha Suffrage Club, organized in 1913. This was the only solely African American suffrage club in Chicago, or even Illinois, at the time. The Bridewell Penitentiary hosted the meetings, and the location offered itself to the goals of the members. Wells hoped to encourage the women inmates to believe in suffrage and the members to engage in important activism opportunities. Within six months, more than 100 members constituted the Alpha Suffrage Club. Their emerging political influence, coupled with a promise to work for a Republican representative, resulted in the nomination and eventual election of Chicago’s first African-American alderman, Oscar de Priest. County Judge John Owens approved women to vote for city commissioner in 1914, and the Alpha Suffrage Club participated in the election. Fighting for the rights of minorities carried Wells-Barnett throughout life, and despite her death in 1931, her influences continue to be recognized. Cited in Lee D. Baker, “Ida B. Wells-Barnett and Her Passion for Justice.” (Ida B. Wells-Barnett and Her Passion for Justice, 1996). Available here. Cited in Anne Meis Knupfer. Toward a Tenderer Humanity and a Nobler Womanhood: African American Women’s Clubs in Turn-of-the-century Chicago. (New York: New York UP, 1996), 52. Ida B. Wells-Barnett, Crusade for Justice: The Autobiography of Ida B. Wells (University of Chicago Press, 1972), 62.